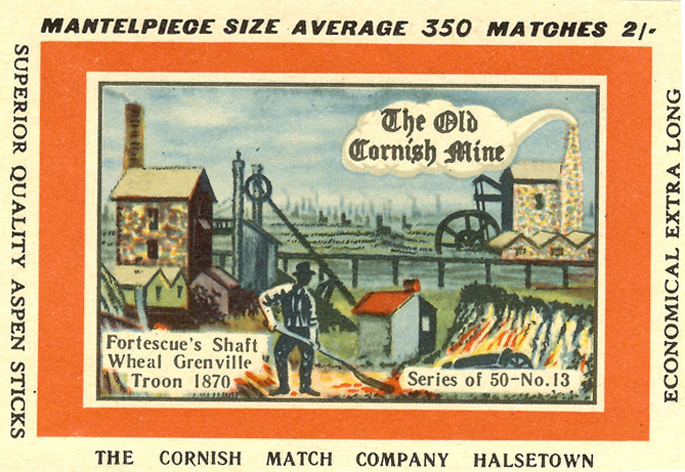 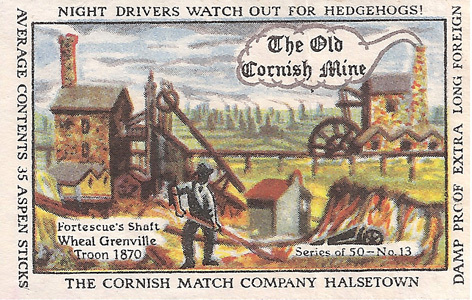 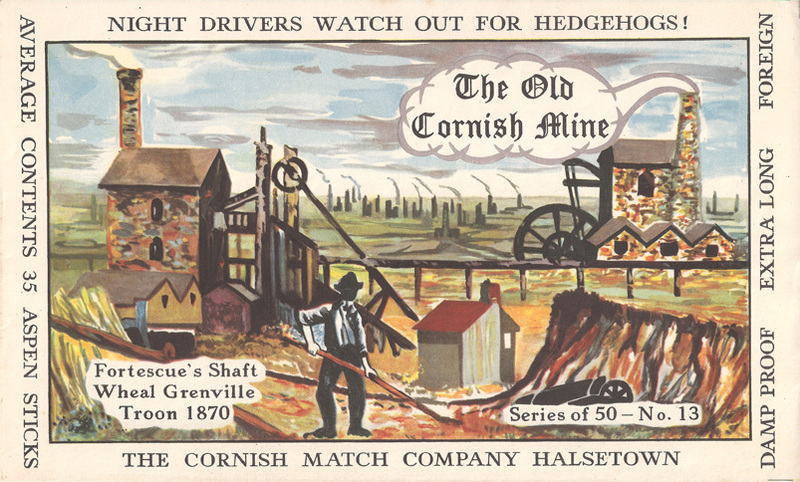 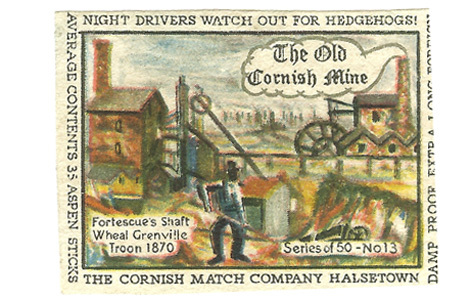 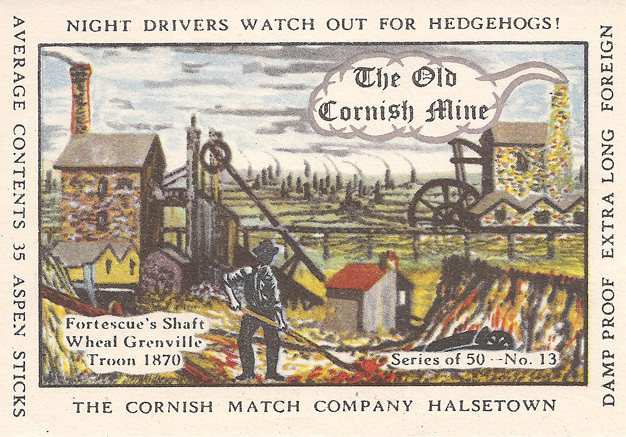 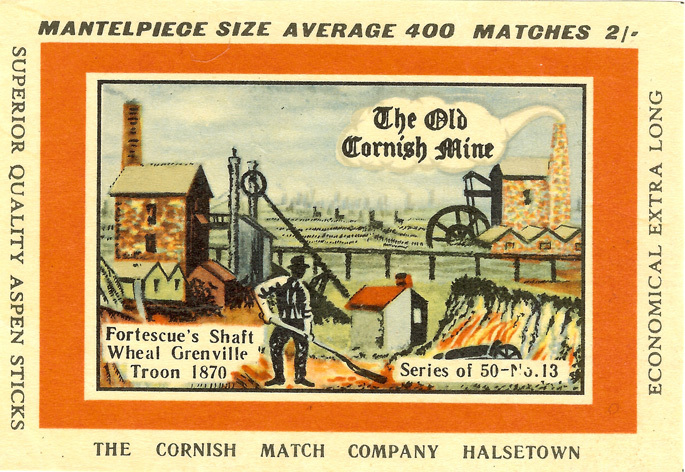 The shaft was sunk at the turn of the 19th century, near Camborne. 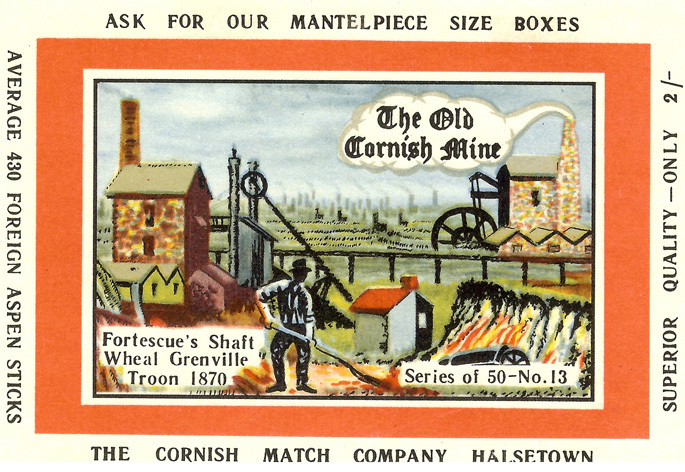 After the closure in 1920 it was purchased by South Crofty and re-erected on its new Cook’s Kitchen shaft. 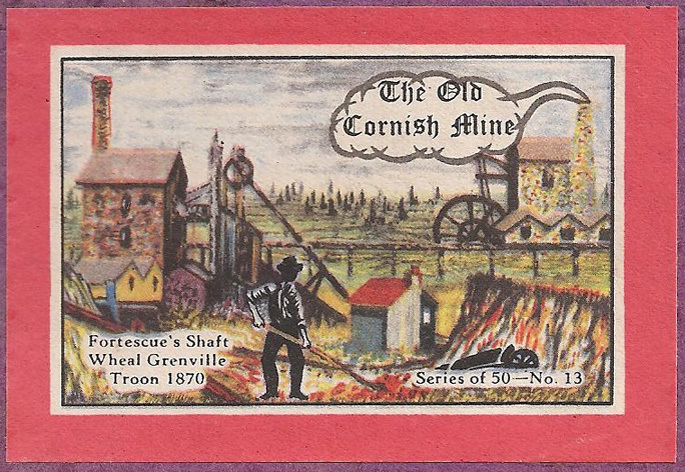 Fortescue’s Shaft became the most important and deepest shaft of the Grenville United Mines which were large tin producers. 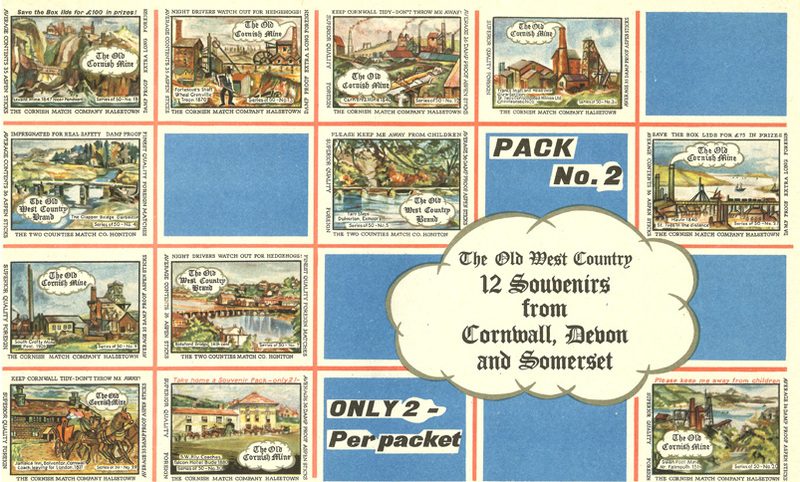 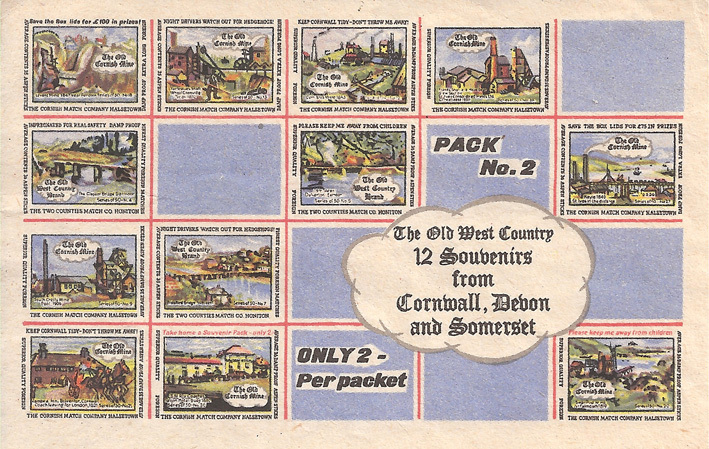 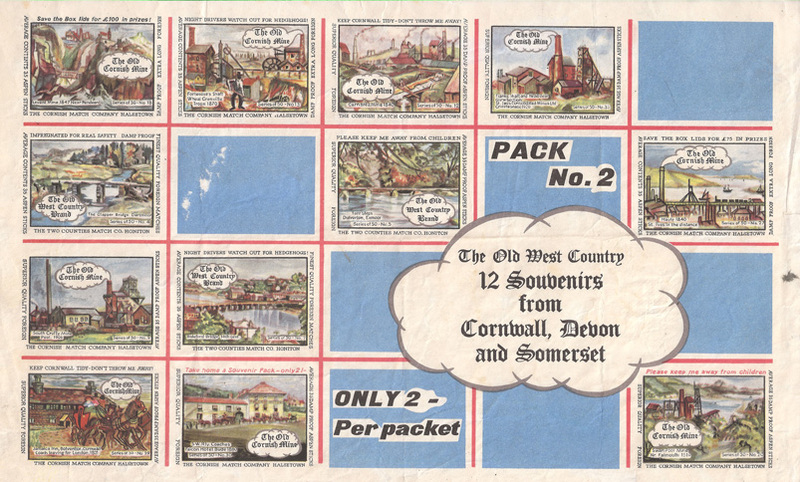 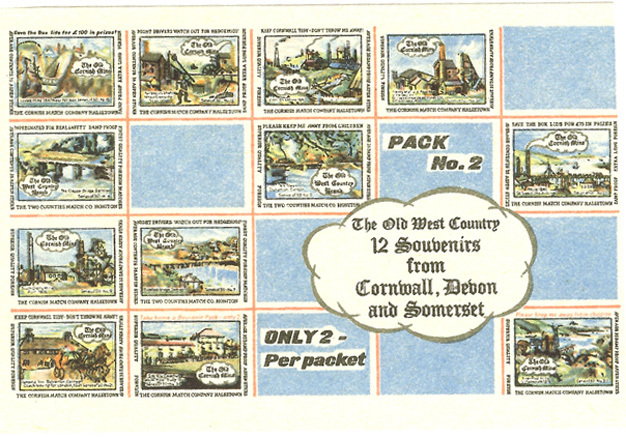 The illustration appeared on 8 individual and 4 souvenir labels and was first issued circa September 1965.